You are NOT alone (even if most days it feels like it). One of the most incredible circumstances in my caregiver recovery happened one summer when I received an email from the professor of a writing workshop class I wanted to take at Walla Walla University. She informed me that even though I had applied late, someone had cancelled and I would be able to attend the class. When I walked into the workshop the first day, I sat down next to Carol, the only person I knew—a high-school classmate of my husband’s that I had a nodding acquaintance with from attending Pedro’s class reunions over the years. Several days later, the workshop leaders gave us a writing prompt, and at the end of the free-write, we had to exchange papers with a neighbor. I felt a little embarrassed about what I’d written because it seemed a little personal and maybe just a bit whiny. I shrugged and handed it to Carol, and she handed me her paper. It didn’t take long for tears to pop out of my eyes, and then her quiet sniffle caught my attention. Here we were, two grown women, mostly strangers, instantly bonding with the other’s words because we saw ourselves reflected in someone else’s story. If you’ve ever gone through a wilderness experience, you’ll know the importance of the manna God sends you—the daily bread that keeps you going as you cling to the One true thing that will sustain you through your wandering. And although we know that God is there, ready to sustain us and keep us through our trials, meeting someone else who has traveled a similar journey feels like a miracle and a pair of comfy, broken in jeans all at the same time. Carol is my manna and my pair of comfy jeans—in addition to being the other half of Blessed (but Stressed). We live thousands of miles apart, but manage to keep up with each other through instant messaging, emails, and class reunions. Ever since our class together (she, too was on the waiting list and got accepted at the last minute), we’ve been sharing our stories with each other. It feels so good to know that I am not alone (nor crazy). I’m excited to introduce to you another voice from the caregiver trenches. 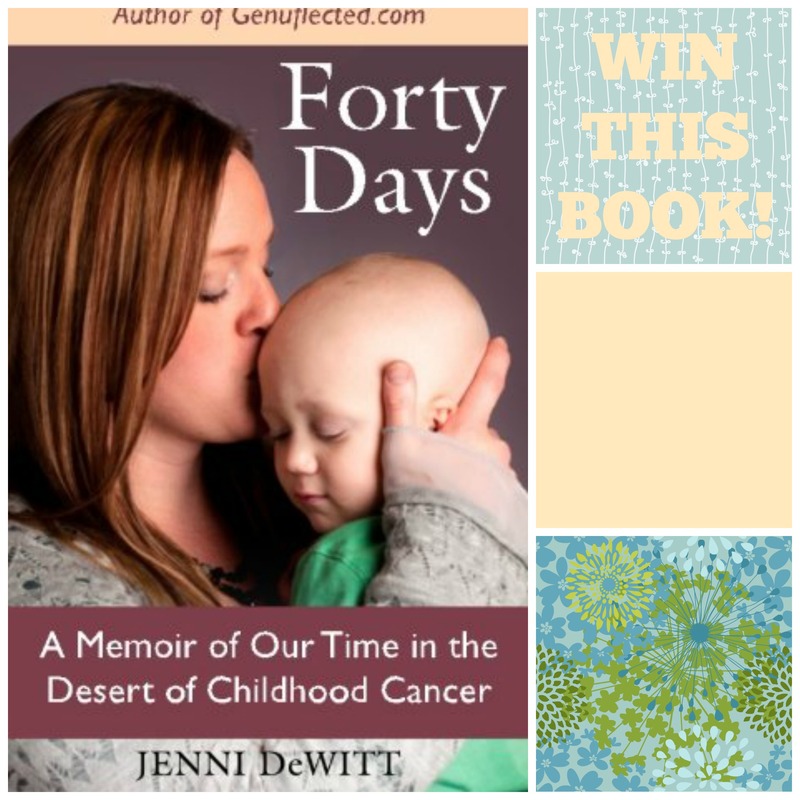 Jenni DeWitt who blogs at Genuflected, recently published her inspirational story Forty Days: A Memoir of Our Time in the Desert of Childhood Cancer. As I read her book, I felt like I had sat down next to a nodding acquaintance and by the time I finished I had found another friend who understands the caregiver journey. You’ll also enjoy this book If you love reading inspirational stories about how God has guided other women through their greatest fears, or if you’ve felt like you’ve been wandering around in the desert of isolation. A portion of the proceeds from the book will go to fund cancer research, but Jenni is doing even more—she’s participating in a fundraising walk to raise money and awareness for childhood cancers. If you’d like to support the cause, you can help her by making a donation. Enter to win your own copy of Jenni’s book, and make sure you drop by her website Genuflected.com to find out how her son Cooper is doing. Jenni’s story inspired me this week–what has inspired YOU? You’ll find more good books to read over at Mary’s place where she hosts a link up for book reviews :). Inspire Me Monday Instructions Link up below, and don’t forget the 1-2-3s of building community: 1. 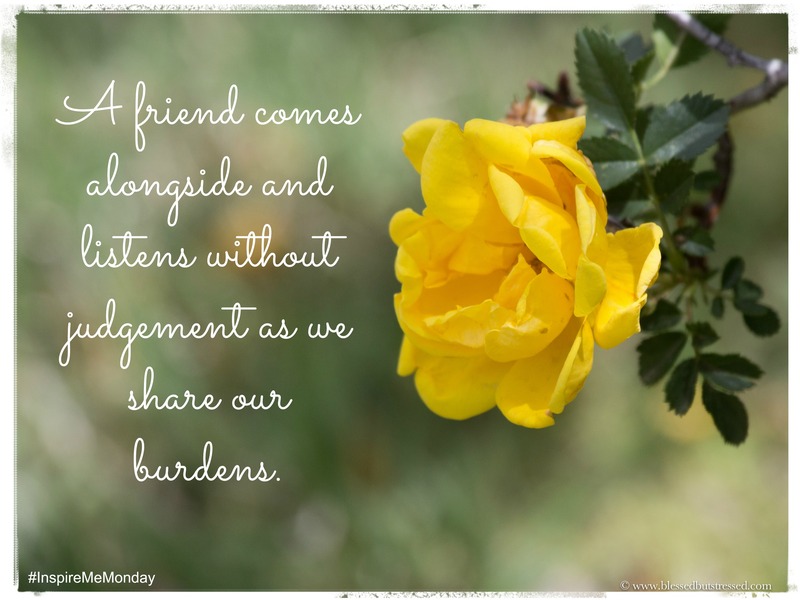 Link up your most inspirational post from the previous week (just ONE, please). 2. Vist TWO other contributors (especially the person who linked up right before you) and leave an encouraging comment. 3. Spread the cheer THREE ways! Tweet something from a post you read, share a post on your Facebook page, stumble upon it, pin it or whatever social media outlet you prefer–just do it! Please link back to this week’s post or add the button to your post so that we can spread the inspirational cheer :). I found inspiration for my Monday at #inspirememonday. Join us! (tweet this) So, go ahead! Take the plunge and share your most inspiring post with us. Take a moment to visit the other hostesses, too: Angie, Cindy, and Denise.